Narrative is important in giving meaning to life. In some narratives the meanings seem complete, but in others something seems to be missing. It may have been this sense of something missing that, in medieval times, sent people off on pilgrimages to Jerusalem or Canterbury, and still today sends people off on literary pilgrimages of a kind I have made recently, to the birthplace of Jean-Jacques Rousseau in Geneva and to the grave of Marcel Proust in Paris. My visit to Proust's grave gave me some of this missing sense, something like: “So he's not just an idea. He's really here." I experienced something of the same sense when I recently visited Bletchley Park, Britain's code-breaking centre during World-War II, with a main purpose of finding out more about Alan Turing, who worked there throughout the War. As a vacation job (in 1960, I think, when I was an undergraduate) I worked at the National Physical Laboratory, where Alan Turing had worked after the War. I assisted in programming one of the world's first computers, the Turing-designed Automatic Computing Engine (ACE). The person whom I was assisting was writing a program to do cross correlation in a tracking task: now just a few lines of code but then, in ACE machine code, it needed an elaborate arrangement of ones and zeros and weeks of debugging. My first job after I got my PhD was again at the National Physical Laboratory, and it was then that I came across Turing's work on the foundations of artificial intelligence. The work that he did at Bletchley Park during the War, to decipher messages sent by the German Enigma machines, was among the most important contributions any individual made to the Allied cause. It fascinated me. In the hut that had been converted to an entrance to Bletchley Park, I found tears coming to my eyes, an indication of being in the presence of something larger than my own day-to-day concerns, and again an indication of the something that can seem missing from purely narrative accounts. Being at Bletchley Park afforded me another episode of, "So it really happened." The whole place was much larger than I had imagined, with not just a few huts, but many. By 1945 there were 9000 people working there on decipherment, 75% of them women and all, until recently, keeping the secret of their wartime work for decades afterwards. And there, too, at Bletchley as well as reconstructions of the machines that he helped to develop, is a narrative of Turing's contributions, as well as a fine statue of him by Stephen Kettle. Although it's wonderful to see the reconstructed computing machines at Bletchley Park, the narrative explanations of what they did could, I thought, have been better. One principle that could have been explained (which I was able to bring with me on my pilgrimage there) was fundamental to the decipherment processes at Bletchley Park, and later became central to cognitive science (the discipline on which our work on fiction is based). It is that of making conceptual models then systematically searching the space of possibilities the models can generate, and then working out how to reduce the search space. Turing and his colleagues built conceptual models of the Enigma machines (and other coding machines used by the Germans) and then for each coded message, used the high speed machines they had built to search through settings of their conceptual models to find possibilities consistent with the structure of the German language, and with topics about which messages were sent. Nowadays, if we talk of fiction as a kind of simulation, it's again as a conceptual model, with fiction enabling us humans to search through the possibilities of lives we can live mentally by identifying with literary characters. But is there still a more personal part that can go missing? Erasmus wrote about pilgrims who went to visit the shrines of saints (I paraphrase): "Why do they make these elaborate journeys? Why don't they read what the saints have written?" There are, I think, two answers. The first is that until Gutenberg's invention of the European printing press, and until Erasmus himself started to make knowledge widely available in printed books, almost no-one could read. The second, perhaps, is the sense of being there, that I experienced at the grave of Proust, and in the huts of Bletchley Park. 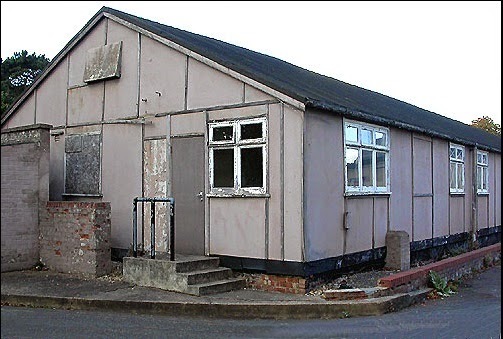 Image: Hut 8 at Bletchley Park, where Turing worked. Frank, Georgia. The Memory of the Eyes: Pilgrims to Living Saints in Christian Late Antiquity. Transformation of the Classical Heritage 30. Berkeley: University of California Press, 2000.